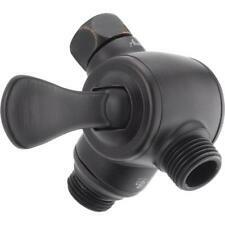 Made from quality materials, this Delta Faucet Company U4922-PK Shower Diverter is just what you're looking for. 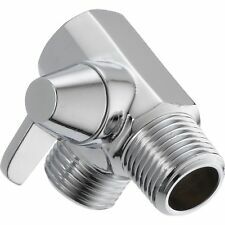 Features:This is a G1/2 inch three way shower arm diverter for shower arm mounted.Made of strong brass materials with chrome plating, it is durable and not easy to rust.An universal showering component T shape adapter with 3 way including one inlet and two outlets.Fitting to home water system, easy to install and clean.For use with wall-mount handheld shower or thermostatic mixer shower valve. Specifications: Material: Brass with Chromed Plating Color: Chrome Size: G1/2"(appr.) Package Weight: Approx. 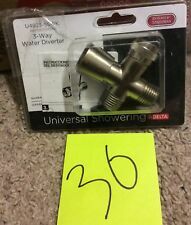 120g Package Includes: 1 * Three-Way Shower DiverterNote:Please check and compare the connector sizes with our product before placing an order.